I have spent the past two weeks traveling and catching up from traveling. Today is Thanksgiving in the U.S. and I am happy to be home for the day. 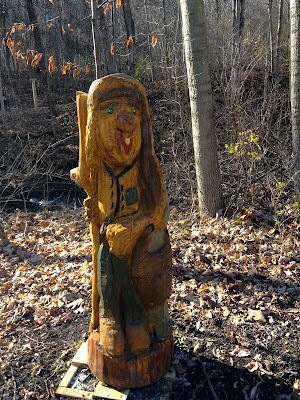 This happy fellow greeted me on my run earlier today. 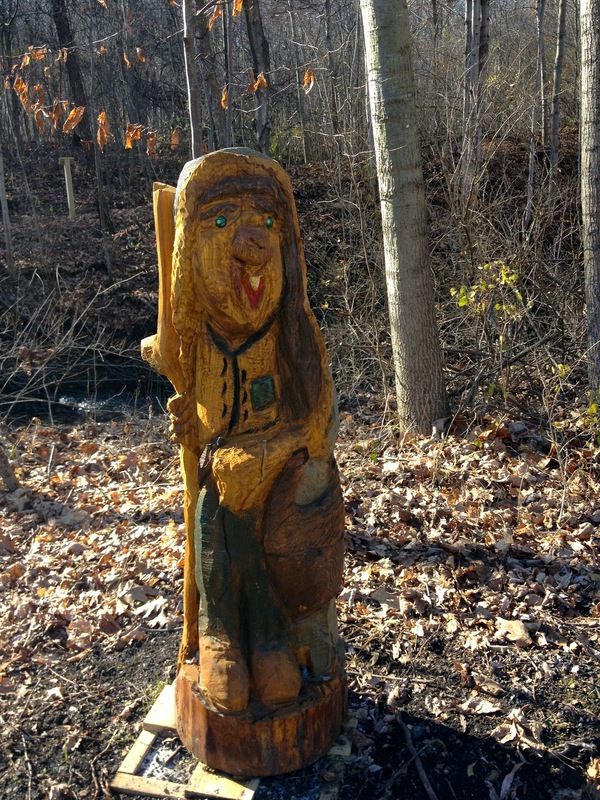 Some talented artist has carved him out of a basswood tree stump. He joins me in wishing everyone a wonderful day.